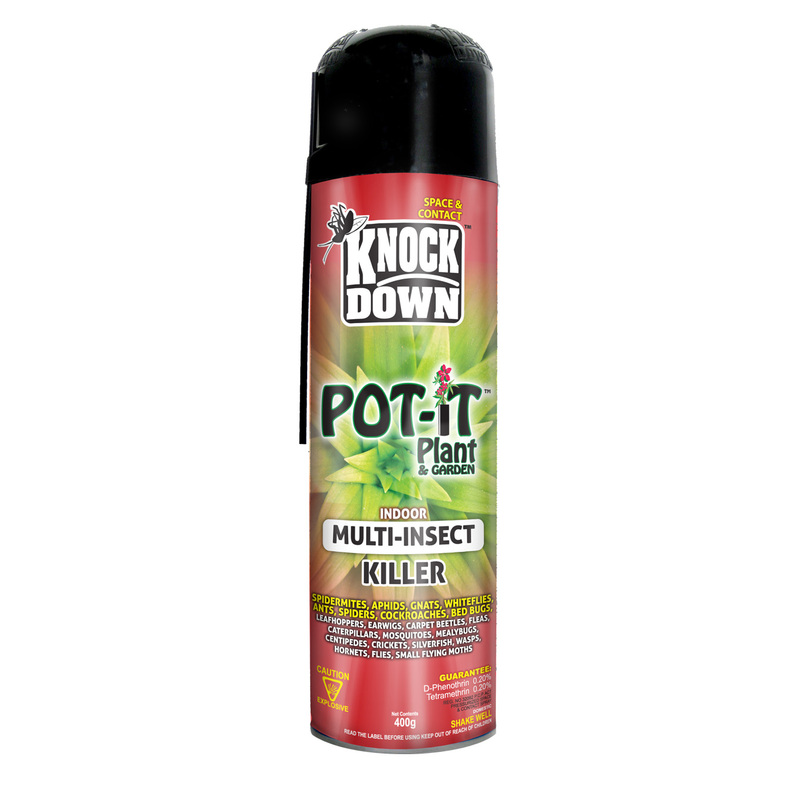 KD405D – KNOCK DOWN –Pot-iT™ Indoor Multi-Insect Killer – KUUS Inc. Carefully spray with slow sweeping motion keeping 30 cm to 45 cm away from the plants to avoid wetting the foliage. A light spray kills pests effectively. Upper and lower leaf surfaces should be treated. Spray only when air is still and temperature is under 32°C. Do not spray in direct sunlight, early morning or evening preferred. Use with caution on young plants and new growth. Insects must be contacted by spray to be killed.